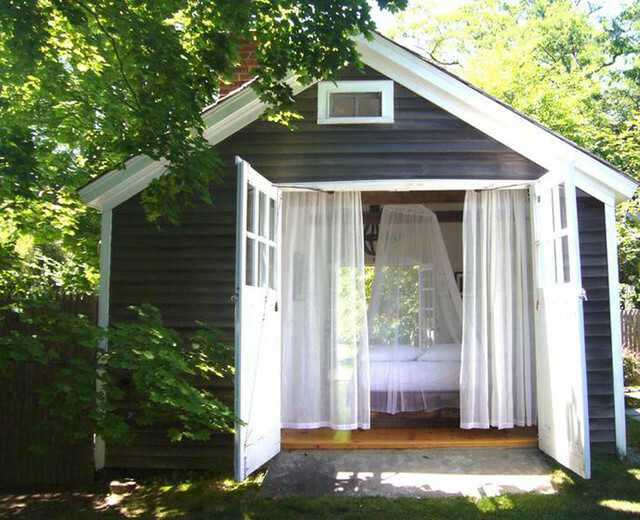 In this space, sheer mosquito netting hangs over the bed and simple white curtains draw the eye in from the open doorway. You could also replace a closet door with white curtains for a similar effect. I like these doors because they look like an old carriage house. I had a garage on a former house with doors like these. Possible doors like this for master bedroom/sleeping cottage.